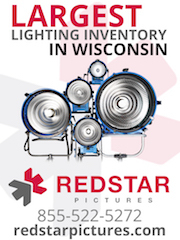 The Wisconsin Production Guide is an online guide maintained by people who work in the industry. It started in 2002 when the state’s Film Office was closing in order to promote Wisconsin as a location for film and video production of all sizes. We provide an accurate directory so that productions not familiar with the area can contact qualified crew and find rental equipment. This guide does not receive any public finding and relies on support from its advertisers and the film technicians in Wisconsin. It is privately operated by Badger Guide LLC and is not required in any way to add every applicant to the directory. We require proof that every applicant is competent in his or her field. Listings are considered editorial content.